Blog > Humor > Knitbits: Male Knitters?! Men knitting? Can it be true? The joy of knitting has found its way to the male of the species? 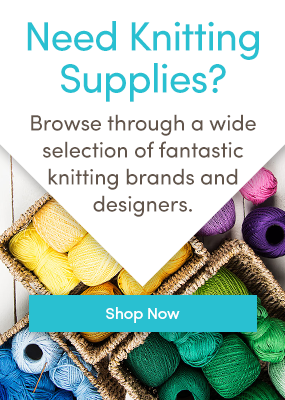 Knitbits has the scoop. Modern men are discovering the joy of the needles – it’s true! What? Men knitting? Pull the other one! It’s true! We have seen it with our own eyes! You mean, you’ve seen a man knitting in the wild? Yes! On the train, knitting brazenly without a care in the world! Socks! With double pointed needles! With those big hands? Surely he couldn’t get around a set of 2.5mm dpns? He was knitting at the speed of light – and – sometimes looking out the window! Wonders will never cease! Are there any male knitters on Instagram? Are you joking? There are loads! My favourite is The Buzby – check him out here on his instagram, he’s fantastic – he makes shawls and socks for his enchanting wife, moomaloom, an astounding knitter and crocheter herself. (But ssh it’s ok, they have separate stashes!) He’s not alone – check out The Knitting Man, and just look at the hashtag #menwhoknit and you’ll see! There’s a guy in New Zealand called Mike Dickieson, (pictured above) who has a blog called Knitting for Blokes proving that “real Kiwi men knit” – Mike, we salute you! Surely there are no celebrity male knitters? Russell Crowe! Well – there IS a photo of Russell Crowe knitting, but it’s a fake – he just picked those needles up for a photo opportunity, sigh. Gladiators don’t really knit. You’ll be telling me there are male knitwear designers next! Which century are you living in? Haven’t you ever heard of Martin Storey, knitting’s national treasure? Stephen West? Kaffe Fassett? Rich Ensor? Brandon Mably? And here in our own LoveKnitting HQ, loads of the men can knit – and crochet! Arne & Carlos, that super famous knitting duo are responsible for thousands of knitted Christmas baubles and some pretty funky Scandinavian jumpers! Need I go on? Do you know any men that knit, or are you a knitting man yourself? We’d love to hear from you in the comments! 14 Responses to Knitbits: Male Knitters?! Male knitter and designer here: mwharrigan on Ravelry; blog at http://www.thismanknits.com – finishing up the Master Hand Knitter program with The Knitting Guild Association. Steve Plummer not only knits but also designs the most amazing illusions and teaches other people (free of charge) how to design their own. I can’t believe you missed out Nathan Taylor, aka Sockmatician, also famous as the King of double knitting technique. Thank you ladies! Keep those names rolling in! We love them! I am both a male knitting and crochet lover. I run two knitting groups in South London and there is no stopping me when I’m at the Knit & Stitch show from buying wool wool more wool. The male knitting population is small but we are growing! Hiya I knit and crochet. I’m an active admittedly learner member of a local knit and natter group. My wife knits and yes we have our own stashes!!! She does like it as she doesn’t have to sneak in wool! Self taught. Via UTube. So, I guess I owe my skills to all the women who post videos on-line. Especially VeryPink Knits. Stacy. Amazing videos! John Glen aka Beardychiel on Ravelry, Instagram, Twitter, You Tube and Facebook. I’ve been knitting for 46 years and designing my own work since about 1980. Nowadays I publish what I do and am teaching a Shawl Design Class at the Perth Festival of Yarn in Perth Scotland, on 10th September this year. Yes I knit as much as I can. Mistly for other people mainly women and babies. My favorite thing to knit? Lace. It’s intricate and not boring like plain knit and purl.. the more intricate the pattern the better! P.S. I meant to say ‘Keep knitting GUYS and gals”… sorry about that dreadful mistake. Pity the appropriate research has not been done on men knitting. The Guildsmen were Master Knitters who had to serve an apprenticeship, become a journeyman before they were judged to be admitted to the Guild as a Knitter. And it goes beyond organised Guilds and groups. Its nothing new!